Are you planning on self-publishing your own magazine? It is a brilliant idea. However, the journey of self-publishing a magazine is no easy one. You need to spend a lot of time researching, editing, printing, and marketing. Therefore, it’s a hard task but an equally rewarding one. Self-publishing your own magazine is a wonderful way to showcase your passion for various subjects. But if you are not 100 percent dedicated to the plan, you may not succeed as this is a cut-throat industry. However, if you are prepared for the challenges and the bumpy road ahead, the remuneration is incredible. To get started fast, here are some easy to follow steps to self-publishing a magazine in no time! Browse the internet and visit local stores to learn more about your competitors. Study their content and how they appeal to their audience through printed magazines. Marketing is another major task you’ll need to overcome. It’s essential to note that even the most popular magazines in the market started with very small audiences. Therefore, you need to have effective strategies to plan your growth to eventually getting a space in the retail stores. For example, before you publish your magazine, ensure you have a website with free content. Also, make sure that people can subscribe online to get your audience started! The spine of a good magazine is content. Without content, you cannot reach your target audience. Happily, it is possible to get high-quality writers who can contribute to your magazine sometimes for free. Through freelance and social media sites, you can have a network of writers who can write good articles on various niches. Once you will have a batch of articles to use every month, you need to pick the best that can attract readers. Edit the content and then release the content on your site before publishing. Obviously, printing should come after establishing an online following and testing your concept. This is a step where you must be creative. Fortunately, you can go through other magazines for inspiration and creativeness. You also need to look for programs to make the work easier for you like Adobe design suites and other tools. If the budget allows, you can engage a professional designer to design for you. With an online magazine, you can easily edit and change the content. But with printed magazines, you cannot afford to make mistakes. Therefore, you need to proofread your work and work with one or ideally more people to proofread the content for you. This will include checking the grammar, spelling mistakes, and the page numbers. 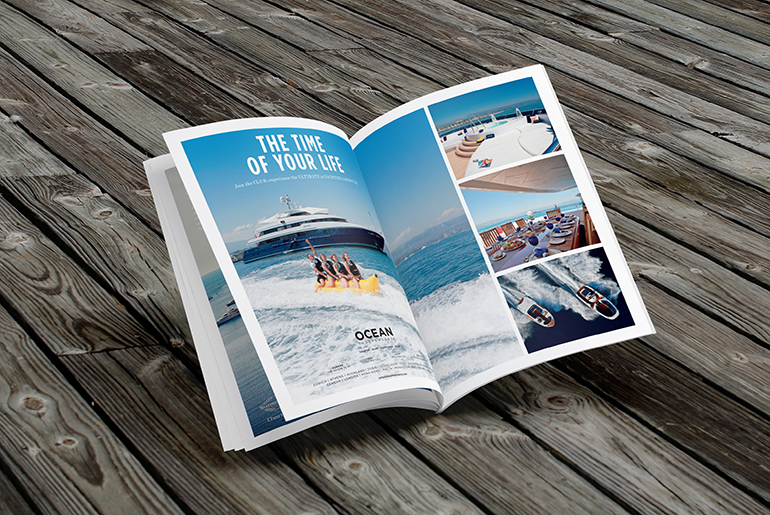 Getting the right printing company plays a very big role in the success of your magazine. Therefore, you need to do research to ensure you pick a company that provides quality services at an affordable price. Depending on your subscriber numbers and projections, consider wholesale magazine printing as it will be much cheaper. Keep in mind that what is on the computer may not reflect on the hard copy. From colors to the quality of the images, there are certain elements you need to look out for. For example, image resolution, page sizes, and other features need to be addressed. Ensure you send the finished PDF files in one file to the printing company to make it easier for them to manage and organize the work. Also, ensure you provide enough time for printing and delivery to have room for correcting any mistakes before the distribution. Self-publishing is a challenging task but very rewarding. And by following the above steps, you should be able to put a magazine together and distribute it to your audience a lot quicker than you’d expect. As a last tip for all the startups out there, don’t be afraid to engage experts in the magazine field for advice and opinions. If you have questions concerning the printing, ensure you ask the printing company in advance and the first step is just to get started! Adam Smith is the Marketing Manager at Mixam. Having successfully launched in the US, the UK based company is rapidly expanding by disrupting the online market with fresh ideas, new innovations and a real passion for printing.